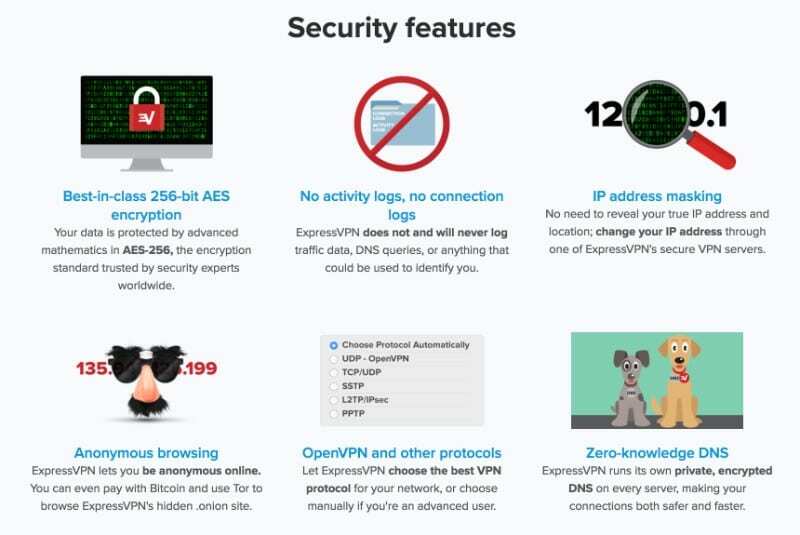 ExpressVPN Review (2019): Is It Really Fastest & Most Secure VPN? 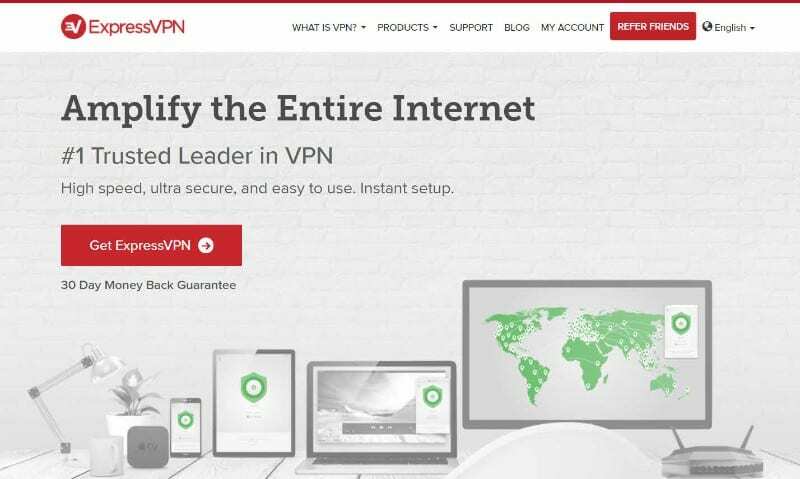 You are here: Home / VPN / ExpressVPN Review: Is It Really ‘Fastest VPN’ in the World? ExpressVPN is a VPN service based in the British Virgin Islands. Operational since 2009, it is one of the most reputed and one of the best VPN services in the market. Customers find it useful for just about any purpose. Its privacy protecting and anonymizing capabilities are praiseworthy, but the thing that catches everyone’s attention the moment you enter ExpressVPN’s website is the speed claim. The words “the fastest VPN on Earth” is prominent and emphasized. While many VPNs make similar claims, we investigated with our ExpressVPN review whether it is really the fastest VPN around. In this in-depth ExpressVPN review, we will cover every detail of ExpressVPN including its servers, pricing, speed, supported platforms, pricing, and more. Let’s start with the Pros and Cons. ExpressVPN has more than 3000 servers in 94 countries and 160+ locations across the world. While there are a few VPNs that offer these many servers, it’s kind of an exclusive club. These servers offer shared static IPs and are located in all the major locations around the world. There’s always an ExpressVPN server near you. This helps improve the already fast connection speeds and ensures that there is never server congestion, resulting in fewer connection drops. It also provides Stealth servers for countries like China and UAE which use practices like deep packet inspection to identify and block VPN users. VPN usage is banned in UAE now, so having a VPN that hides the fact that you are using a VPN is important. There were no DNS, IPv4, and WebRTC leaks with ExpressVPN. It keeps you protected at all times, and the DNS, IPv4, and WebRTC results gave a good idea about how well the VPN works towards protecting your privacy and identity. Netflix is coming down really hard on VPN users as it tries to keep its service geo-restricted and prevent outsiders from accessing Netflix USA. That version has the best content, so it is understandable that you would want to unblock Netflix USA. But where most VPNs fail, ExpressVPN succeeds. It is able to help you unblock Netflix USA through a few servers. These servers are all obviously in the US, but there’s no indication as to which of these can help you out. This is rather smart because publicizing that information will result in blocking of those servers by Netflix. To access Netflix USA with ExpressVPN, just ask their customer support about which servers can help you. You can also use their SmartDNS service for this purpose (more on this later). You can also check ExpressVPN’s Netflix page. Kodi allows you to watch your favorite movies and TV shows for free. Although it is a great media streaming device, it cannot vouch for some of the free streaming links it gives you. There’s no telling who might be running those links, and the operator might spy on you. Therefore, it’s best to use ExpressVPN for Kodi as well. Setting up ExpressVPN on Kodi is simple, and you can follow the setup guide on their website. Torrent websites are an important part of everyone’s internet usage these days. They provide you with all the types of files and data you might want, like movies, TV shows, games, software, music, etc. It is quite easy to download torrents through a client, but when you download torrents without a VPN, anyone can see your torrent activity. Any malicious user in the pool can spy on you, or any curious person connected to the same public network can see your activity. Moreover, ISPs can, and quite often do, throttle the bandwidth available to you when you download torrents. To keep yourself away from all prying eyes and download torrents freely, use ExpressVPN. It will hide your torrent activity from everyone, and its high-speed servers ensure that your download speed does not suffer at all. Not all ExpressVPN servers support P2P, but you can always ask the customer support for help in the matter. If you are looking for a pocket-friendly VPN service, then ExpressVPN is not your cup of tea. It’s just not for people running on a strict budget with its $12.95 per month package. The annual package does offer a considerable discount ($6.67/month) due to the longer subscription, and there are discounts every now and then, but it still remains one of the most expensive VPN services. But you can use their no-questions-asked 30-day money back guarantee to good effect. If you find that ExpressVPN is not what you expected and the service is lacking in some areas, you can ask for a full refund within a month. 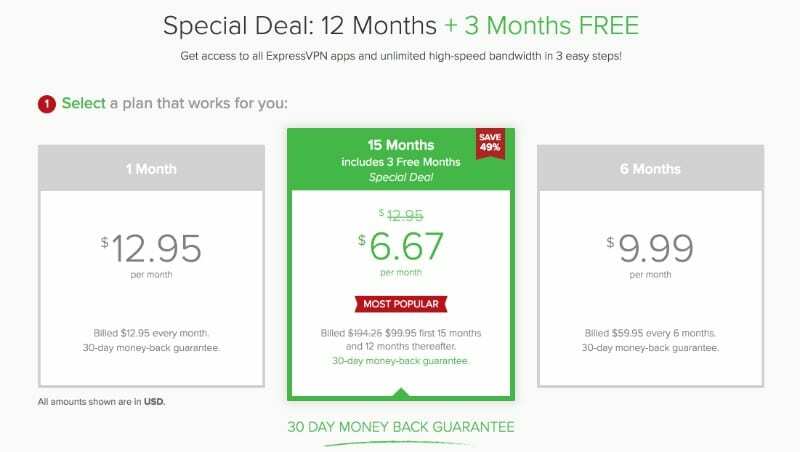 While most other VPNs offer a 7-day money back guarantee, ExpressVPN offers a 30-day guarantee. How’s that for confidence! Desktop users do not have the option of a free trial. However, a 7-day free trial and a one-day free trial is available for iOS and Android users respectively. Although one day isn’t time enough to test the service, it’s in compliance with Google Play regulations, so there’s not much as can be done. As for payment options, you can pay using credit cards, PayPal, Bitcoin, and a variety of third-party merchants. VPNs do tend to decrease your browsing speed a little because of the encryption overhead that is added to your connection. But what separates the best from the rest is how steep the reduction in speed is. The better VPNs make sure that the speed reduction is minimal, while the best VPNs ensure that the reduction is unnoticeable. 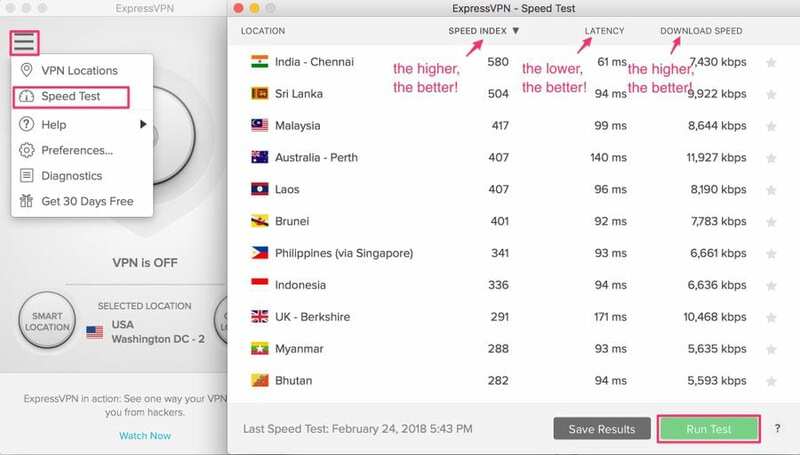 ExpressVPN is one of the best VPNs, so it’s no surprise that you don’t find any noticeable drop in the connection speed. Testing through different servers during different times gives a reasonable estimate of a VPN’s speed, and ExpressVPN returned promising results. It provides one of the fastest download speeds among all VPNs. Streaming videos in 1080p resolution and playing online multiplayer games does not give you any problem when using ExpressVPN. When you download torrents or regular files, you will notice that connection speeds are similar to when you download files without the VPN. In some cases, you might even find that the speeds are better, based on the server you choose. The only issue you might face is a connection drop or two every other day or so. Although there are many reasons one might use a VPN service, privacy and encryption are on everyone’s list of requirements. ExpressVPN gives you as many options as you want from within the client. You can choose from PPTP, L2TP, OpenVPN, and SSTP. The encryption is the modern standard AES 256-bit, and authentication is an impressive SHA-512. Both of these provide for a service that keeps out all nosy parties and ensures that your online activity is your business alone. It also helps you share sensitive information over the web without worrying about it getting intercepted through a man-in-the-middle attack. ExpressVPN offers dedicated clients for Windows, Mac, and Linux, and offers an Android, iOS, and Amazon Fire TV Stick app. You can also use the setup guides on the website to setup ExpressVPN on your Smart TV, Roku, gaming console, Chromebook, and Routers. If you want, you can also order pre-configured router to cover your entire home network with ExpressVPN protection. The best part about doing this is that your router is only counted as one device, and you can extend that protection to as many devices you want to connect to that router as you want. Before setting up ExpressVPN on your router, just check if they two are compatible. If that’s not the case, but you want a VPN on your router anyway, go for their pre-configured routers. The VPN clients are the most intuitive and feature-rich you will see. While you cannot change the encryption type from within the VPN for security reasons, you can change VPN protocols and servers freely. It is set to OpenVPN over UDP by default, which is a good choice. The client will automatically choose the best server for you based on your location and usage, but you can override that and make a choice of your own. 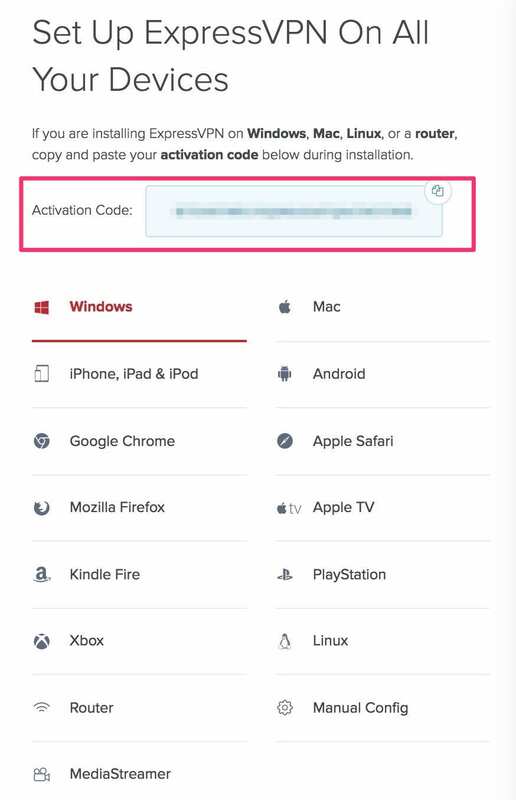 When setting up for the first time, you have to enter an activation code for any device you choose to connect. This enables you to connect to the VPN the moment you start the client later. The UI is attractive, and you can use all features like ‘Network Lock,’ which works similar to an auto-kill switch. Network lock protects you from DNS and IP leaks as well as keeps you safe in case of connection drops. This is especially useful when you are downloading anything with a VPN, most importantly torrent files. Downloading torrents without VPN protection is not advised because anyone can see your torrent activity from the pool and you can face legal action and experience bandwidth throttling from your ISP. Since ExpressVPN allows P2P, you can use ExpressVPN torrent downloads and be free to leave your system because you have Network Lock’s assurance. The Mac client differs from others in that it has the Split Tunnelling feature as well, which allows you to choose which apps’ traffic passes through the VPN servers. Before you do this, always make sure you know what you are doing. Otherwise, you will end up making a hole in your own defense. You can use ExpressVPN on up to three devices simultaneously. Previously, you could only use one device of a kind. But ExpressVPN has modified that feature and allowed you to choose the devices as per your requirement. You can use it on two laptops and one phone, or any combination you want. The only issue you can have is that before you want to connect the fourth device, you have to manually disconnect one of the three devices using the connection. Simply shutting off the device does not help your cause. A slight inconvenience, but something you’d expect ExpressVPN to take care of. A VPN that hides you from everyone but records everything you do is more dangerous and damaging than using the internet without VPN. This is why using a VPN with a no-logs policy is important. ExpressVPN falls into this category. Moreover, since it is based out of British Virgin Islands, it does not face legal pressure from the NSA or GCHQ, etc. to disclose user logs. A no-logs policy and no data retention laws to worry about is what you should look for in any VPN. The only things that ExpressVPN records are connection timestamps, the server you connected to, and the bandwidth used during the connection. Your personal IP address is not recorded, and this information is never shared with anyone. Although some people find an issue with this, there’s a workaround. If you subscribe to ExpressVPN using their newly established .onion extension or a Tor proxy or someone else’s system and pay through Bitcoin, ExpressVPN will have no way of identifying you. ExpressVPN offers a 24X7 customer support service through live chat, email, and ticket system. All three systems work like a charm. You don’t have to wait for even a minute to hear from a support executive through the live chat, and the responses are not just cordial but informative and helpful. The same may be expected from their email and ticket systems. The knowledge base is good enough to handle most of the general queries. ExpressVPN’s customer support service is arguably the best we have seen so far. ExpressVPN has dedicated stealth servers to help people in China. The country has strict censorship laws, and while people have been using VPNs to have some online freedom for years, the government is making things harder. They are now hunting down VPN users and enforcing severe legal penalties on VPN users. The Chinese government uses techniques like deep packet inspection to identify VPN traffic and locate the VPN users. But with ExpressVPN, you have a way out. It has dedicated servers in Hong Kong to beat the Chinese government’s internet censorship. There’s not much known as to how these servers work and help you stay under the radar, but the only thing that matters is that they do work in helping you circumvent government censorship if you are living in or are traveling to the Chinese mainland. While VPNs help you unblock geo-restricted content, there’s another way to do so, especially for streaming services. SmartDNS services allow you to unblock geo-restricted streaming services. While they work in a similar fashion to VPNs, there are a few differences. For starters, SmartDNS changes your DNS settings and ensures that DNS requests for geo-restricted services are handled by their dedicated servers. This enables you to overcome geo-restriction. Since there is no encryption involved, you enjoy much higher speeds than VPNs, although you should understand that this comes at the cost of not having the protection which VPNs offer. ExpressVPN offers a SmartDNS service that is simple to use and can help you unblock popular streaming services like Netflix USA and the BBC iPlayer. Setting it up is pretty simple, and you can visit the website to get it up and running. ExpressVPN offers browser extensions for Google Chrome and Mozilla Firefox users. It is a little different from other VPN browser extensions in that it is of no good without having the VPN client on the system as well. The browser extension gives you more control over the VPN client on your system. It doesn’t add anything to the experience, but only improve the comfort of using the service on your system. If you are looking for a VPN service that gives you everything you want, then there’s no better choice than ExpressVPN. It has more than 3000+ servers across 160 cities in 94 countries of the world. These servers provide you with some of the best connection speeds you will see. Although we’re not sure whether it really is the fast VPN on Earth as the website claims, it’s not too far off the mark. As for privacy and security, you don’t have to worry about them when using ExpressVPN since it uses OpenVPN over UDP by default in the clients and uses strong encryption and authentication algorithms. 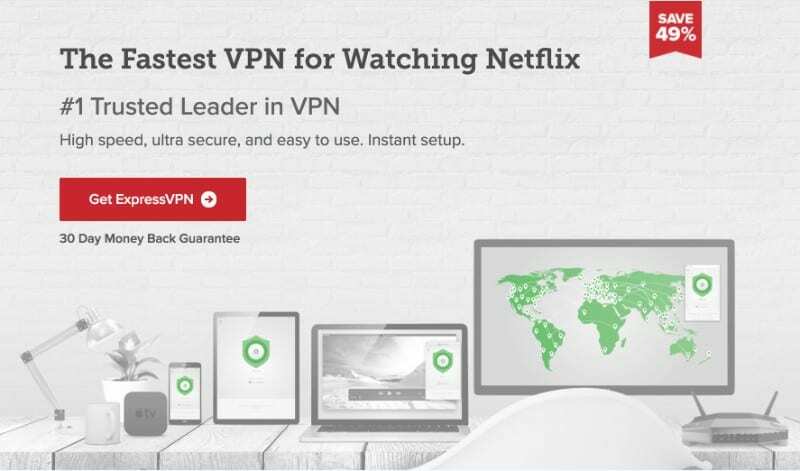 With 3 simultaneous connections, a great Smart DNS service to unblock geo-restricted content, P2P support, features like Network Lock and Stealth Servers, and arguably the best customer support service in the entire industry, it’s no surprise that ExpressVPN is one of the top-ranked VPNs. The only downside is that it is a bit pricey. But with the 30-day money back guarantee, and a 7-day free trial for iOS users, you have ample time to try the service fully. do you guys have any deal on purevpn? Hey Gully, sorry we don’t have it. We don’t recommend PureVPN because of its poor speed and buffering while streaming. Good company that is able to provide a better, more anonymous service because they don’t have to adhere to US and EU data laws.